The brand-new memoir from the Sunday Times best-selling author of The Road Beneath My Feet. Taking 36 songs from his back catalogue, folk-punk icon Frank Turner explores his songwriting process. Find out the stories behind the songs forged in the hedonistic years of the mid-2000s North London scene, the ones perfected in Nashville studios and everything in between. Some of these songs arrive fully formed, as if they've always been there; some take graft and endless reworking to find 'the one'. In exploring them all, Turner reflects with eloquence, insight and self-deprecating wit on exactly what it is to be a songwriter. From love songs and breakup songs to political calls to arms; songs composed alone in a hotel room or in soundcheck with the Sleeping Souls, this brilliantly written memoir is a must-have audiobook for FT fans and anyone curious about how to write music. 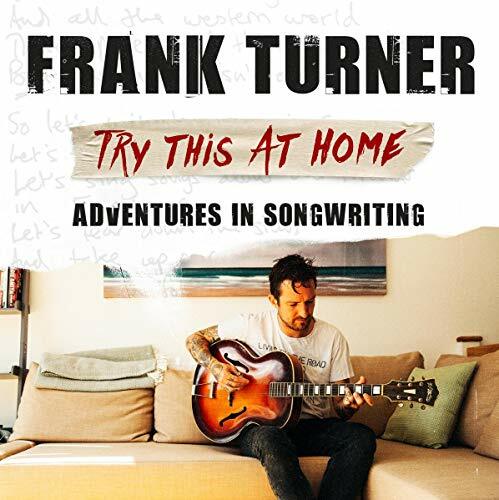 A musthave for the Frank Turner fan. I'm a huge fan of Frank Turner already and read his first book several times. And now I've 'read' this, his second book, twice already in the first 2 weeks of its release. It's a fascinating insight into his music and the way his writing methods have developed over the years. I'll definitely be reading this again. Fascinating and satisfying not just for fans. Frank is narrating, It’s a very well read book that works as a diary of how and why a song came together with the history of the song explained as well as the musical theory being discussed (the technical side is explained in simple terms and should not put off a non musician). Really enjoyed it and I think any music fan regardless of genre would be able to enjoy and take something away from it.